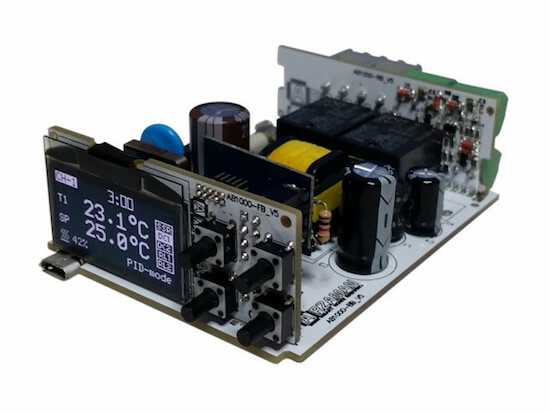 Professionally engineered, SmartPID is a high-tech, programmable temperature and process controller for the DIY community. Compared to a basic on/off thermostat, SmartPID is an “open platform” that can collect temperature from multiple sensors, apply programmable control logic, and drive different loads with a precise PID algorithm. Not only can SmartPID control any thermos-regulated process, heating or cooling, it can be used for a number of applications throughout your home, both locally and remotely. You can easily access your process and log data from the web browser on a desktop over Wi-Fi or a smartphone via a dedicated app, which is ideal in case of critical situations that involve alarms and triggers. 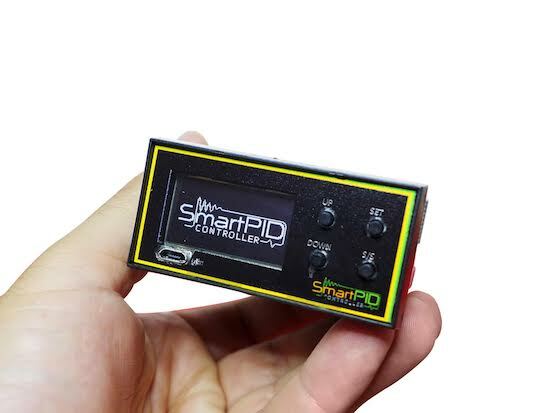 The brainchild of Davide Arzarello, SmartPID is a must-have for Makers, do-it-yourselfers, tech enthusiasts, as well as professional engineers seeking an affordable process controller. It’s 100% Arduino-compatible: just plug the SmartPID USB port into your computer and program the board using the Arduino IDE. SmartPID is neither a simple controller nor a thermostat: it is an “open platform” in which the resources and I/O can be used for a variety of applications and in a variety of environments. The idea behind SmartPID is to develop an ecosystem of “vertical” applications on top of a common set of features, providing tools for people who would like to develop their own applications or hack existing ones. The two main apps included are the smart thermostat and smart brewing app, with a successful crowdfunding campaign, the company hopes to expand the controllers versatility into a number of vertical applications on top of the SmartPID platform. 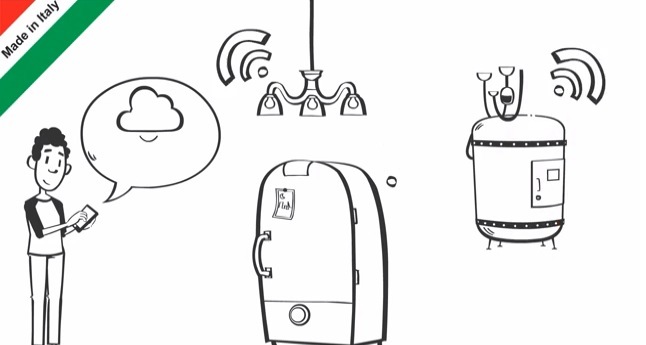 With its process automation, SmartPID makes everything from homebrewing and winemaking to aquarium maintenance to oven temperature more precise, powerful, and flexible. Want to learn more? Check out Arzarello’s campaign on Indiegogo! Interested in building and programming your own robot? You might want to give Antbo a try. 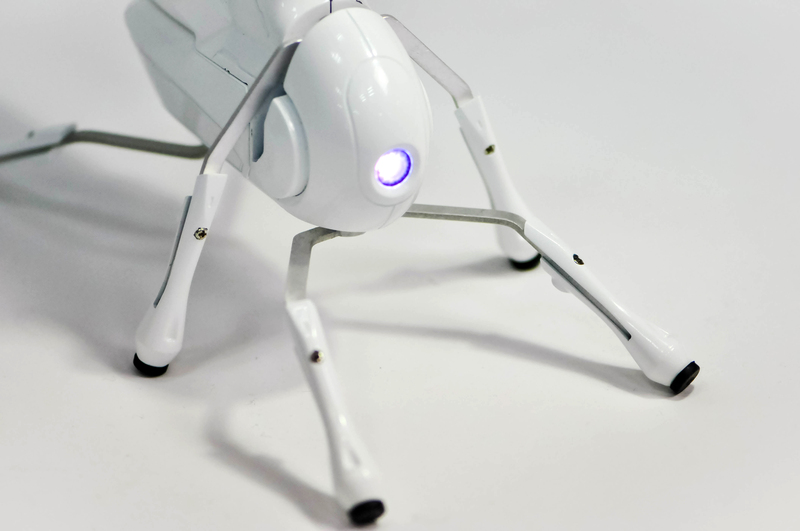 Billed as the "insect robot designed for anyone with an inquisitive mind," it's a programmable entry-level kit for beginners or anyone with a casual interest in robotics. That crazy DrumPants wearable tech we first saw in '07 -- the same one that raised 75 grand on KickStarter and was featured on Shark Tank in 2014 -- is back. Its creators have now turned to Indiegogo to fund the mass production of DrumPants version 2.0, which they claim is faster and stronger than its predecessor. Plus, it's now open source. The wearable, for those who've only just heard of it, isn't actually a pair of pants with drums (sorry to disappoint). It's a set of accessories comprised of two elongated drum pads and two foot pedals you can use to play different kinds of instruments, along with a knob that lets you choose between samples and musical scales. You can wear them over your clothes, or under, like the jamming dude in the GIF above. A connected home is in the dreams of many of us and we all spent at least a few moments thinking about how would it be for real. The problem is that most of the hardware devices and software platforms are not designed to work together and that’s why things become complicated. EZcontrol.IT offers dedicated hardware that is affordable and easy to use, compatible and programmable with the Arduino™ IDE and language; designed to interact with a full and extensive software platform: Lelylan, that is an open, easy to use and personalize, cloud platform for Home Automation. EZboard, a low power consumption Arduino compatible board, equipped with an onboard Ethernet controller, microSD card socket, temperature sensor, and power relay. It’s designed to run for long periods of time powered by batteries and it integrates all the hardware necessary to implement most of the common applications for Home Automation. Leylan platform, a very easy to use Home Automation cloud platform, universally compatible with any device capable of being connected to the web. It’s based on the MQTT protocol (MQ Telemetry Transport), the same used by Facebook to send live updates to the mobile messaging applications, and offers a simple API that can be used to program basically any platform. EZcontrol.IT decided to join the Arduino AtHeart program to better identify this solution as dedicated to makers, and to remark the compatibility with the Arduino platform at the highest possible level. EZboard in bundle with Lelylan is available starting today for a short initial period of pre-order, with packages for makers and extremely affordable early-birds offers. Make your pledge! Over the last year there have been a few crowd-funded projects that offered very inexpensive Arduino-compatible boards. Frankly most of them weren’t anything out of the ordinary, however one of them is quite interesting due to the particular design of the board, and is the subject of this review. An established company Iteadstudio ran a successful Indiegogo campaign last December to fund their “Iteaduino Lite – Most inexpensive full-sized Arduino derivative board”. Having a spare US$5 we placed an order and patiently waited for the board. Being such a low price it was guaranteed to raise the funding – but was it worth the money? Or the effort? Possibly. The URL on the bottom is incorrect, instead visit http://imall.iteadstudio.com/iteaduino-lite.html. Looking at the board in more detail, there are some interesting points of difference with the usual Arduino Uno and compatibles. And there are only two LEDs on the Iteaduino Lite, for power and D13. The LED on D13 ins’t controlled via a MOSFET like other Arduino-compatibles, instead it’s simply connected to GND via a 1kΩ resistor. Watch out for the corners of the board, they’re quite sharp. Next, you need to install the USB driver for the CP2102. My Windows 7 machine picked it up without any issues, however the drivers can be downloaded if necessary. This MCU is a Chinese company’s answer to the Atmel ATmega88A. You can find more details here, and Itead also sells them separately. The LGT8F88 offers us 8Kbyte of flash memory of which 0.7KB is used by bootloader, 1 KB of SRAM and 504 bytes (count ’em) of EEPROM. Apparently it can run at speeds of up to 32 MHz, however the LGT8F88 is set to 16 MHz for the Iteaduino Lite. So that’s around a 10% speed increase. Not bad at all. The LGT8F88 also has the requisite GPIO, SPI, and I2C available as per normal Arduino Uno boards. You can download the data sheet with more technical details from here. Frankly the LGT8F88 is an interesting contender in the marketplace, and if Logic Green can offer a DIP version at a good price, the ATtiny fans will have a field day. Time will tell. So no surprises there at all, the Iteaduino Lite gives you more flexible power supply options than the usual Arduino board. However an eagle-eyed reader notes that a few of the capacitors are only rated at 25V – especially the two right after the DC socket/Vin. You can see this in the schematic (.pdf). So take that into account, or drop your Vin to something more regular such as below 12V. The Iteaduino Lite is an interesting experiment in bargain Arduino-compatible boards. However we say “why bother?” and just get a Uno R3-compatible board. At the end of the day – why bother with this board? For a little extra you can get boards with the ATmega328P or 32U4 which gives you 100% compatibility. Nevertheless, this was an interesting experiment. Full-sized images are available on flickr. And if you enjoyed this article, or want to introduce someone else to the interesting world of Arduino – check out my book (now in a third printing!) “Arduino Workshop”. The post Review – Iteaduino Lite “nearly 100% Arduino-compatible” board appeared first on tronixstuff. There is an Indiegogo campaign to sell a kit for learning electronics that seems to have better pricing than most of the similar kits I’ve seen: BE MAKER! KIT plus FREE lessons on electronics, from Zero to Internet of Things | Indiegogo. The most popular product they are selling seems to be a $69 kit with a microprocessor board (a clone of the Arduino Leonardo); a “shield” with an LCD display driver, pushbuttons, microSD card reader, 2 servo connections, RGB LED strip driver, and Ethernet adapter; a bunch of useful electronics parts (including an LCD display for the shield and an RGB LED strip); “lessons” (which are probably just assembly instructions for different projects, but may be more tutorial) and a box to keep all the tiny parts in. 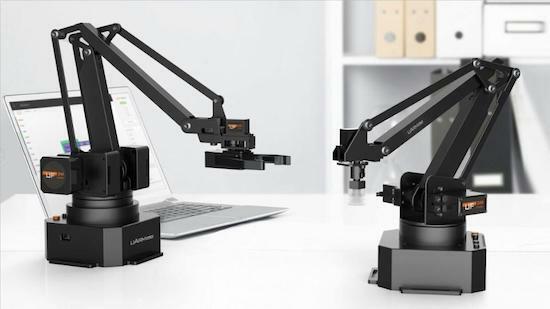 As Arduino and Arduino-compatible kits go, this one looks pretty good. Forget about it for holiday gift-giving though, as they don’t expect to deliver until February 2014. If you want something similar for this year, look at the somewhat more expensive kits from AdaFruit or SparkFun.